Civil Appeals | Smith Goodfriend, P.S. Smith Goodfriend has earned its reputation as the premier appellate law firm in Washington by a single-minded commitment to practice in the appellate courts of the state over the last four decades. Our lawyers, shareholders Catherine Wright Smith, Howard M. Goodfriend, Valerie A. Villacin, and Ian C. Cairns, each restrict their practices to civil appeals and related trial court litigation. Since the firm's founding in 1969 by Malcolm L. Edwards, the "dean" of Washington appellate practice, the firm's principals have led in the development of appellate litigation as a recognized area of practice in Washington state. Smith Goodfriend usually has appeals pending in the Ninth Circuit Court of Appeals, the Washington Supreme Court, and all three Division of the Washington Court of Appeals. Our cases cover a wide range of practice areas. We are proud to have contributed to the advancement and development of the law in many procedural and substantive areas. The scores of published decisions in which we have appeared as counsel of record reflect the breadth of our practice and the depth of our experience. 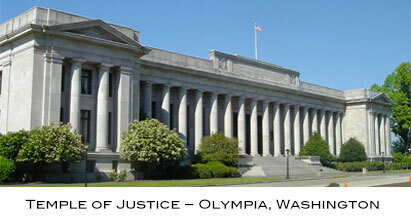 Our clients are generally referred to us by other lawyers for a single appeal or lawsuit. We generally associate with trial counsel and take the "lead" on appellate matters, but other arrangements can be made; we regularly consult on matters in which we may not be counsel of record as well. We make it a point to limit our representation to the specific matter for which clients are referred. As a result, although many trial attorneys and institutional clients refer all their appellate work to us, the firm has no major clients who provide a significant percentage of our practice. Our independence gives us a unique and valuable perspective for parties and trial counsel who may need a fresh approach on appeal.